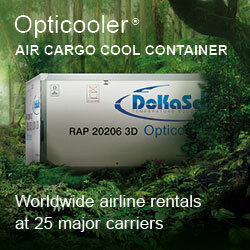 Both air freight carriers entered into a commercial partnership, aligning their networks between Far East and Europe. It is the first time that two members of competing airline alliances join forces. Is Cathay Pacific planning to exit the oneworld club and joining the rivaling Star Alliance instead? This question arises after both carrier's announcement to closely cooperate in future. It can be assumed that IAG Cargo, American Airlines Cargo, LATAM Cargo and the other oneworld allies are not very amused after being informed about the Cathay-Lufthansa deal for aligning their cargo activities in two key markets. In their announcement, both carriers speak of an agreement aimed at establishing a highly integrated bilateral cooperation. This entails jointly network planning, sales, handling activities and the alignment of the IT saytems. By doing so, the world's busiest cargo hub Hong Kong and Frankfurt as Europe's number one gateway for air freight will be brought closer together, this strengthening one of the world's leading trade lanes. "Our jointly operated network will cover more than 140 direct flights between Hong Kong and 13 European destination," states Simon Lage, Director Cargo at Cathay Pacific. 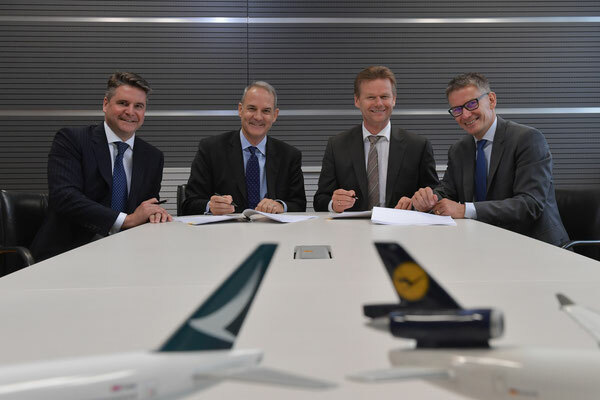 Their large number of direct connections to multiple European destinations "fits perfectly with Lufthansa's strength in Frankfurt and Europe through its dense feeder network," commented CEO Peter Gerber of LHC after signing the deal. He went on to say: "By joining forces, customers gain access to unique flexibility with more flights to choose from and a combination of feeder services and direct flights." Clients can expect faster flows of their shipments as result of the collaboration, Herr Gerber added. According to Cathay Cargo and Lufthansa Cargo, their cooperation will also lead to service enhancements. For example, clients will be able to access the entire joint network via the booking systems of both carriers. Joint handling, initially at the Frankfurt and Hong Kong hubs, will also make things easier for customers since there is only one point for exports drop off and import delivery, eads the carrier's release. The deal becomes practical early next year, initially from HKG to Europe. 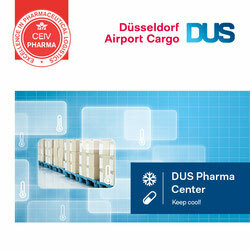 Booking shipments in the eastbound direction will folow in the course of next year. Both carriers emphasize that their activities will be carrier out in full compliance with all applicable laws, including the competition rules of the EU block and Hong Kong. The agreement follows earlier deals Lufthansa Cargo inked with ANA Cargo and United Cargo for joint transports between Japan and the European Union and the EU and North America respectively. Until then it should be clear if Cathay remains being a oneworld member or if they decided to switch sides.